It’s a habit I fall into time and time again: I sit down to write an essay but get caught up listening to the lyrics of a new album. Despite the meaning that words can add to a song, they can be distracting when one is studying or writing. For the assistance of my classmates, I wish to share three different styles of music that have helped me stay focused while working on homework. Now, I know what you’re thinking. I can hear the cries of frustration through the internet now. “I don’t even like rock music,” you shout at your phone. “Why would I listen to it while studying?” Before you throw your laptop into the fountain, hear me out. While post-rock utilizes many of the same instruments as traditional rock, it holds very little in common with the likes of Nirvana and ACDC. Instead, post-rock bands aim to create sonic textures with their music, usually through long instrumental ballads. Along with that, post-rock albums are usually stitched together to be heard as a cohesive whole. As a result it is rarely jarring when one track ends and another begins. Some great post-rock artists to study to are Tycho, Explosions In The Sky, and Sigur Rós. Last semester, I wrote a short story to the soundtrack for the movie “It Follows” on repeat. While the tone of the music didn’t dictate how the story turned out, I think that what I was listening to had a large impact on the vibe of my writing. We live in a film saturated culture. Almost everyone has a few movies that they can pick out as favorites. Because of this, almost everyone has movie soundtracks and scores they enjoy. 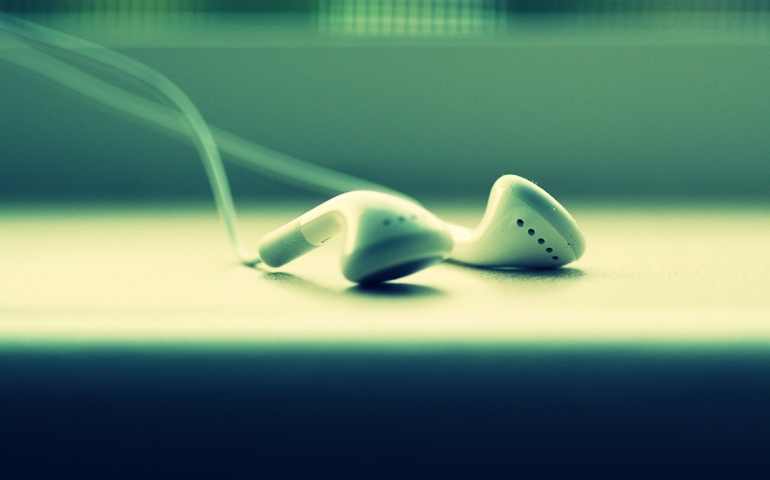 Music is a great way to tune out the world around us. However, without careful selection, the music we choose can also become a distraction. With these suggestions, I hope that you are able to easily find music you love that will keep you focused and energized while studying. Do you have a favorite album that you love to study to? Let us know down in the comments!